Remember November 1989? The Berlin Wall came down – and two months later East and West Germany were connecting their electrical grids. Decades of political stubbornness were replaced with cooperation between utilities and energy ministries because it made good economic sense to link these systems. 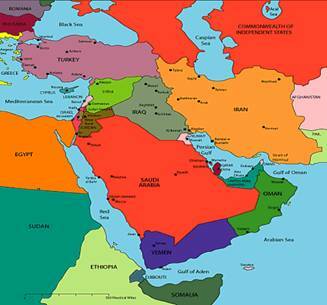 Now we are seeing the same in the heart of the Middle East between Iran and Iraq. With the Iraq war over, the many benefits of system integration outweigh old animosities. In fact, Iran’s geography makes them the electrical hub for the region, and they are moving forward. Iranian Energy Minister Majid Namjou says Iran is ready to supply Pakistan with more electricity to help overcome the South Asian country's current energy crisis. “Given the great need of Pakistan for electricity, Iran could export its surplus electricity to the country,” Pakistan faces a shortfall of more than 5,000 megawatts of electricity and Iran could meet a portion of the need. Last year, Minister Namjou said that Iran plans to generate more than 5,000 megawatts of electricity from renewable energy resources by 2015. The nation is blessed with abundant solar potential. Iran's electricity network has integrated into the power grids of six neighboring countries; including Afghanistan, Pakistan, Turkey, Armenia, Azerbaijan and Turkmenistan. Now with Iraq too. Peace is more than the absence of war. True peace requires active engagement between neighbors: cultural exchanges, trade of goods and services, communication links. The most important and fundamental trust-building activity is the sharing of electrical power. When you become suppliers and customers of energy over a 24 hour day, it’s just bad business to shoot at one another. Building grid interconnections fosters peace and cooperation. We proudly share this with you, as your financial support makes our work possible. p.s. China and Russia are interconnecting their high-voltage grids. These are positive trends.